Check out this article which was published in The Guardian newspaper today. It tells everyone what we know already – 100 per cent of the purchase price of all Sreepur cards goes to charity! Merseyside Embroiderers Guild Christmas Party was held on 2nd December in Unitarian Church hall, Ullet Road, Liverpool. Ruby and Kathy were there with their Sreepur stall and they raised £185.00 to support the mothers and children in Sreepur. The exhibition at St Barnabas went so well. We raised £740.00, people are so kind. It was lovely to see old friends, and new the church looked beautiful. Hilary’s husband Patrick called in, he’s a regular visitor. The government today started shifting of 26,000 Rohingyas from Naikhongchhari area of Bandarban to Balukhali camp in Cox’s Bazar. They took shelter in Naikhongchhari upazila after Myanmar army launched ethnic cleansing of the minority group in Rakhine state in retaliation of August 25 terror attack. “We shifted 400 Rohingya people to the Balukhali camp today. The process will continue until the rest of the Rohingyas are shifted there,” Shamsuzzoha, additional relief and refugee repatriation commissioner, told our Cox’s Bazar staff correspondent. The shifting process was started around 4:00pm in presence of the deputy commissioner of Bandarban, UNO of Naikhongchhari upazila and high officials of police and Border Guard Bangladesh, he said. The government has set up the camp on 2000 acre of land in Cox’s Bazar’s Ukhia as Bangladesh witnesses the huge influx of Rohingyas fleeing persecution in Myanmar’s Rakhine state. The International Organization for Migration (IOM) yesterday said around 507,125 Rohingya refugees intruded into Bangladesh till September 30. The news from Bangladesh is dreadful. Pat Kerr, with a team from Sreepur. have gone down to the refugee camps at Cox’s Bazar to see how we can help. It is so sad and the photos are distressing. Ken and I know this area as we have visited and stayed close to the Myanmar border some years ago. It was very sad then but so much worse now. September 2017 – Talking to N. Wales E.G. On 26th September Ruby went to N. Wales branch accompanied by her husband Ken. 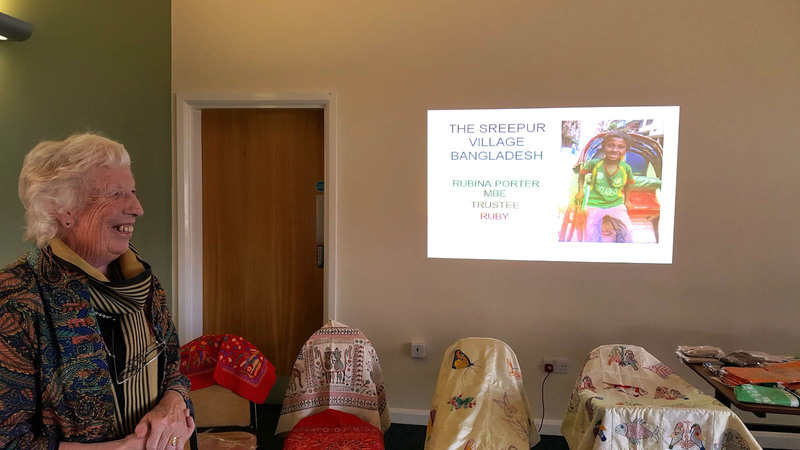 The members were very welcoming and were interested to hear about the work in Sreepur. Ruby reports – “We raised £615. 00, how kind. They made Ken and I so welcome”. We are so pleased that we were able to contribute to such a great cause. I will pass this on to the Branch. Also once again a big thank you for such an entertaining but thought provoking talk. Best wishes and hoping that Sreepur thrives. 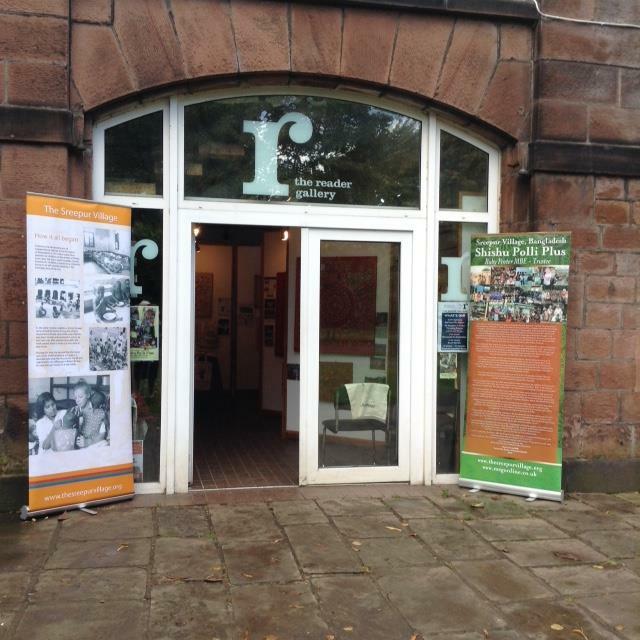 Don’t forget the “Threading Dreams” exhibition and Sreepur stall continues in the Readers Gallery, Calderstones Park, Calderstones Rd, Liverpool L18 3JB until Sunday 1st October 2017. A chance to support a great cause and to buy some early presents! 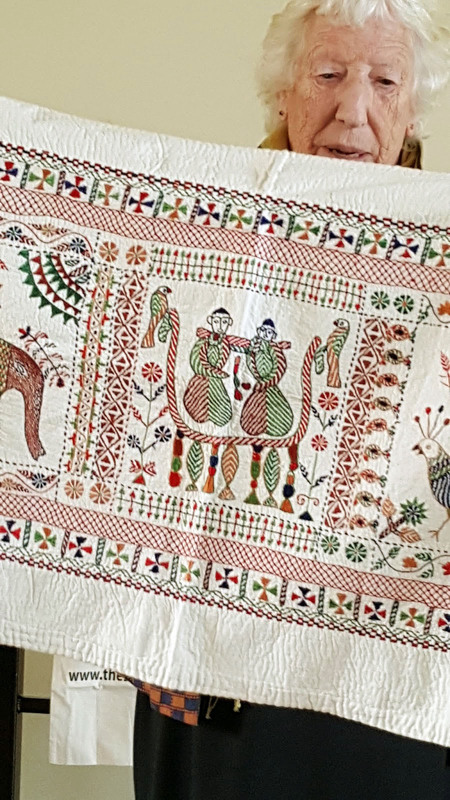 THREADING DREAMS EXHIBITION, from Sreepur Village, Bangladesh. From 10am -4pm from Monday 25th September 2017 –Sunday 1st October 2017 in the Readers Gallery, Calderstones Park, Liverpool L18 3JD. 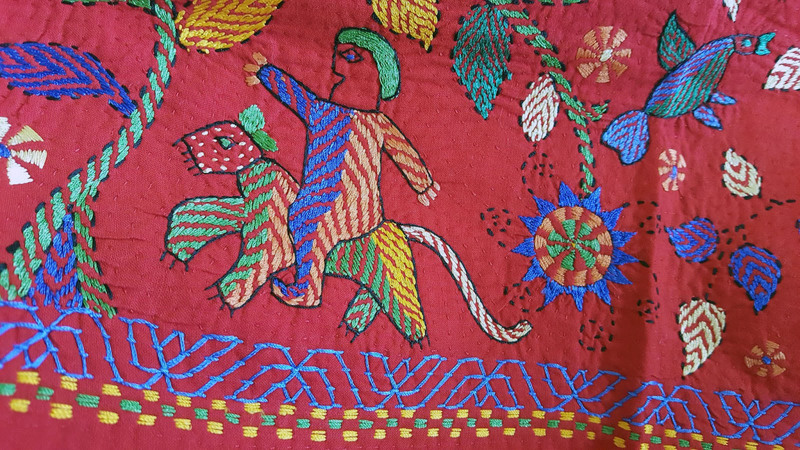 Excellent Christmas gifts for sale at reasonable prices, with all proceeds going to help the 600 children and 150 destitute mothers who live at Sreepur Village, Bangladesh. 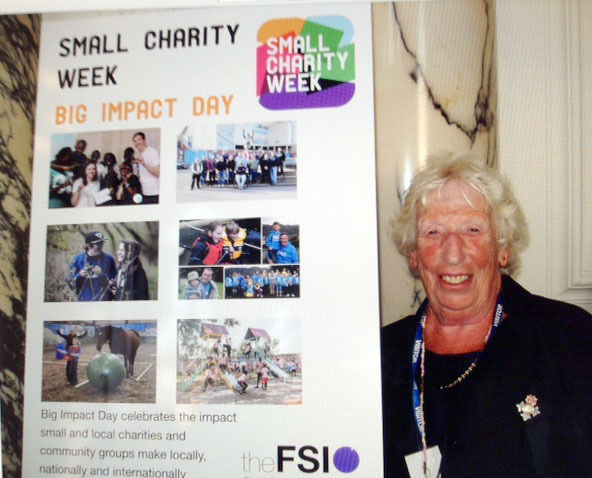 Ruby was invited to a debate and reception at The House of Lords Westminster, as this week is Small Charity Week. She reports that the reception was held in the Churchill rooms at the Treasury offices- an amazing building. It was a most interesting reception. I met the staff who were most helpful, polite and courteous. It was a pleasure to attend this excellent event. 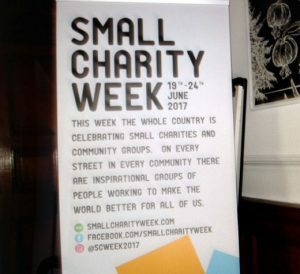 I talked to visitors from other small charities from around the country. Very interesting people all like us, finding it difficult to raise the funds needed to help others who struggle to help themselves. Last night I was talking to members of St Aidan’s church in Billinge, Wigan. 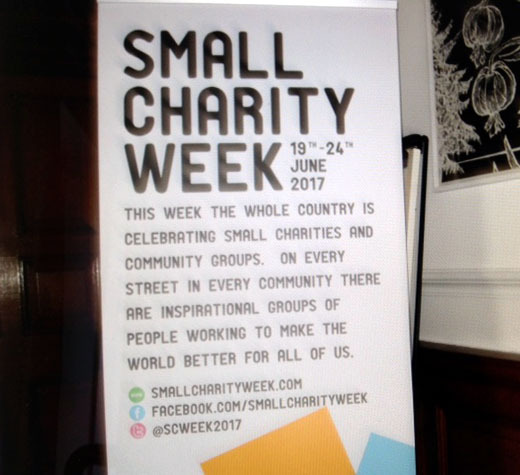 They enjoyed my talk about Sreepur and we raised £240.00 – how kind. 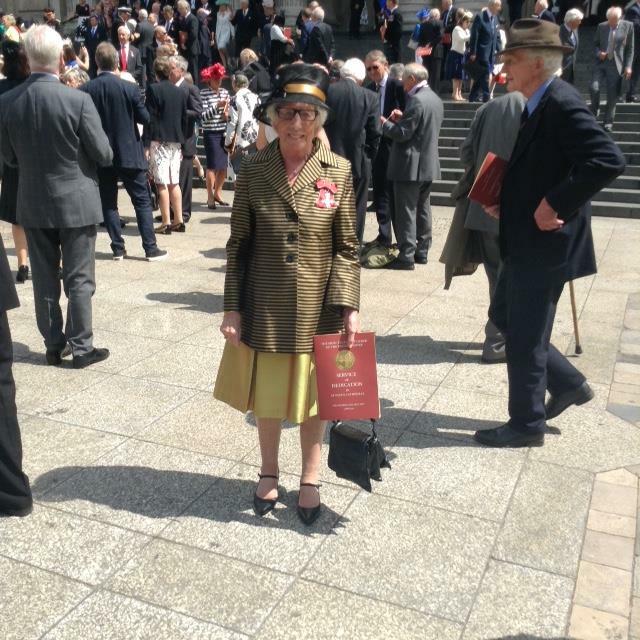 Dozens of armed police lined the streets as The Queen arrived at St Paul’s Cathedral this morning with her husband the Duke of Edinburgh. 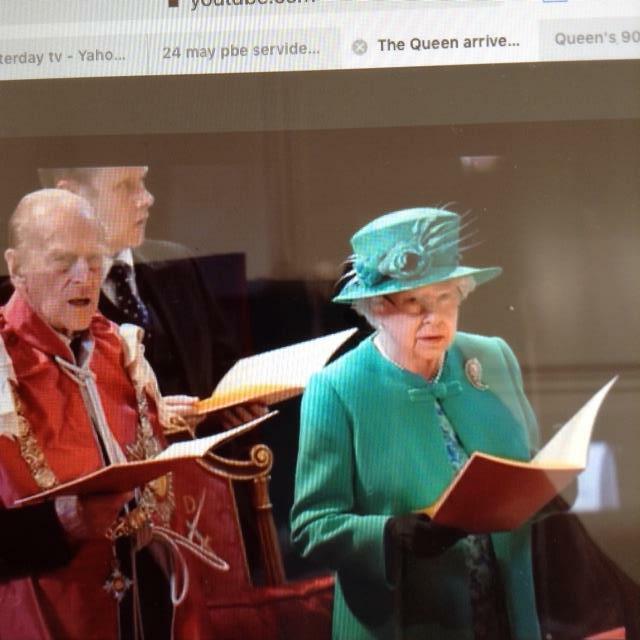 The pair led worshippers at a special service of dedication and thanks for the Order of the British Empire ahead of its centenary next month. Crowds were kept behind metal fences and watched by officers with machine guns in a beefed up security operation after the suicide bombing in Manchester on Monday. The smiling Queen donned a mint green overcoat and matching hat combined with a floral dress. Among those seated in the pews of St Paul’s Cathedral were almost 2,000 holders of the Order of the British Empire’s awards, from Knights and Dames to those who have received a CBE, OBE or MBE. Those invited included former BBC weatherman Michael Fish MBE, broadcaster Dame Esther Rantzen and cartoonist Gerald Scarfe CBE. 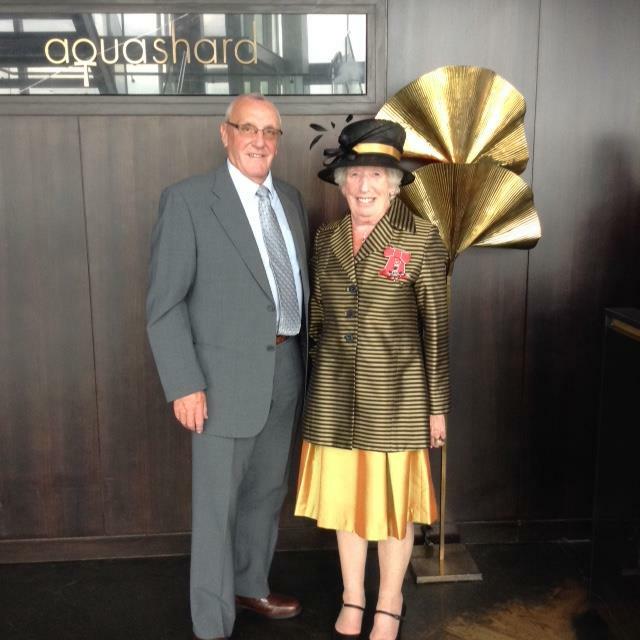 Rubina Porter MBE has just completed a very busy week of visits. On Monday evening she paid a visit to Wigan’s Townswomen’s Guild to speak about the progress being made in Sreepur Village. She had a lovely evening and raised £200 for the Sreepur charity. 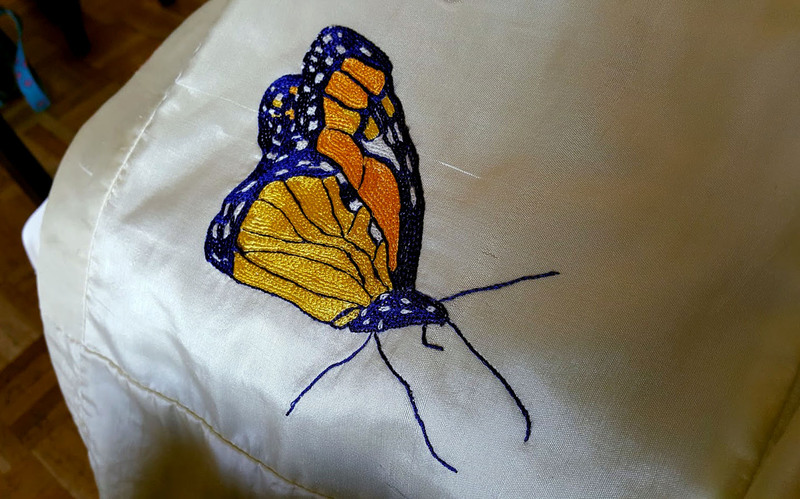 On Tuesday she was invited to Manchester University by Lynn Setterington to lecture to the textile students. It was an excellent visit. 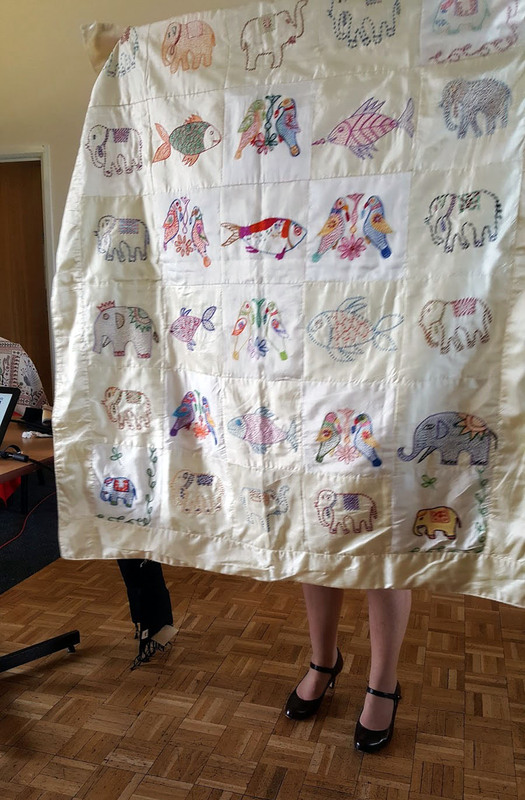 Then on Wednesday Ruby paid a visit to Glossop EG and spent a lovely afternoon with their members telling them all about the Sreepur Village project and showing them many examples of embroidery made in Bangladesh. She raised £300 for the charity. How kind! 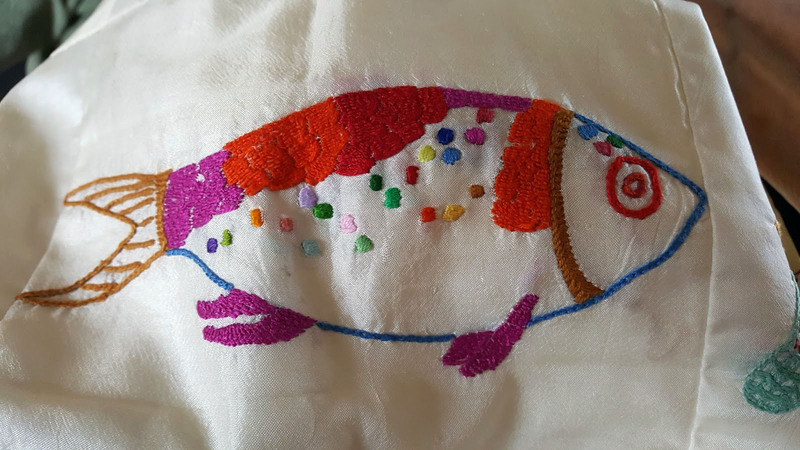 Ruby and Kathy are situated in St. Barnabas Church this week until Saturday 25th March with their lovely Threading Dreams exhibition and popular Sreepur fundraising stall. Come and see for yourself if you are in the area, you will get a warm welcome and a chance to help a good cause. Ruby and Kathy spent 10 days in Liverpool Anglican Cathedral recently with the “Threading Dreams” exhibition and the Sreepur stall. Ruby reports that everything went so well. We raised £1700.00- our visitors were so kind. They came from all over the world.